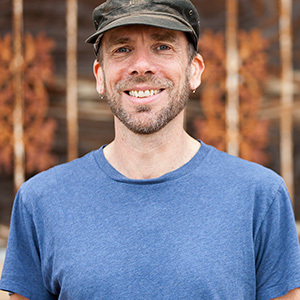 Eric Slade is an independent director and producer based in Portland, Oregon, where he was born and raised. Eric graduated from Emerson College in 1981 and spent 15 years in San Francisco (with an amazing group of documentary filmmakers) before returning to his native city. Eric's feature documentary Hope along the Wind: The Life of Harry Hay premiered on PBS in 2001. Winner of the Golden Gate Award at the San Francisco International Film Festival, the film was nominated for a Northern California Emmy Award for Best Documentary and received numerous Best Documentary Awards at festivals worldwide. Eric has worked extensively with PBS as a producer on the PBS series History Detectives (2003-2010) and Great Lodges of the National Parks. He was also series producer for the CPB series Bridging World History. During more than twenty years of creating award-winning productions for corporate and nonprofit clients alike, Eric has been the recipient of grants from the National Endowment for the Arts, the California Council for the Humanities, the San Francisco Arts Commission and more.